Metro Manila (CNN Philippines, April 6) — Former President Benigno Aquino III is not yet off the hook over the P72-billion Disbursement Acceleration Program (DAP) controversy. 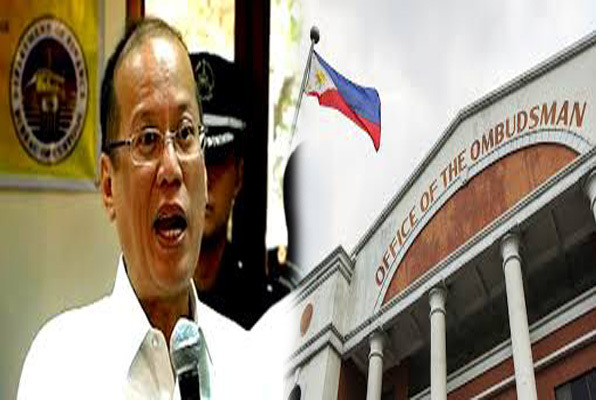 The Office of the Ombudsman on Thursday ordered Aquino to comment on a motion for reconsideration filed on March 13 by complainants led by Bayan Muna Representative Carlos Isagani Zarate. The complainants want the Ombudsman to reconsider its March 7 decision to drop administrative charges against the former President. The Ombudsman acquitted Aquino due to lack of jurisdiction as the Ombudsman has no authority over impeachable officials. But the complainants said the Ombudsman "committed grave errors" in its ruling and that Aquino and former Budget Secretary Florencio Abad should instead be charged for technical malversation and corrupt practices. They also want Aquino to be held liable for usurpation of legislative powers, and Abad for grave misconduct. The Ombudsman is now giving Aquino and other respondents 15 days, from date of notice, to respond to the motion. Aquino approved the DAP proposed by Abad in October 2011. It was aimed to boost economic growth through fast-tracking the release of funds for priority projects of the government. The DAP tapped the power of the President over the use of standby funds in the national budget, funds for unfilled government positions, unreleased funds from slow-moving and halted projects, and funds for projects that did not yet have contracts. On March 7, the Ombudsman cleared Aquino of liabilities over the DAP, while it found probable cause to charge Abad for violating Article 239 the Revised Penal Code or the usurpation of legislative powers. This stemmed from Abad's issuance of National Budget Circular (NBC) No. 541 in 2012, which authorized the "withdrawal of unobligated allotments of agencies with low levels of obligations." This is contrary to law, according to the Ombudsman. Sponsor Abad also filed a motion for reconsideration on March 13, saying he never used government funds for his own gain. Meanwhile, Aquino's spokesperson Atty. Abigail Valte, had dismissed the complainants' allegations as mere "harrassment of a President who refused to be cowed by their chest-beating during his entire term." The Supreme Court declared the DAP unconstitutional in July 2014, saying it encroached on the budget authority of Congress.